Francesca Tanksley surprises. The internationally-acclaimed jazz pianist and composer, described as “a vivid presence” by jazz critic Nat Hentoff, breaks through traditional expectations with the power of her musical vision. 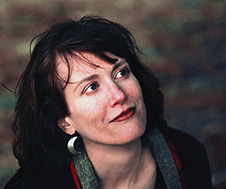 Acknowledged as a fine soloist, composer, and accompanist with such notable groups as the Billy Harper Quintet, the Jeff “Siege” Siegel Quartet, and the Erica Lindsay Quintet, she has performed throughout Europe, East and Southeast Asia, Scandinavia and South America as well as in the United States, and appears on numerous CD releases of these groups. Her compositional talent is featured on recordings by the Billy Harper Quintet, the Jeff Siegel Quartet, the Rob Scheps Quartet, as well as on her own Trio recording, entitled, Journey. Other leading musicians with whom Francesca Tanksley has performed include David Newman, Howard Johnson, Laurel Massé of Manhattan Transfer, Reggie Workman, Cecil Payne, Nick Brignola, Kamau Adilifu, Charles Davis, Clifford Jordan, Jay Clayton, Slide Hampton, Sheila Jordan, Jimmy Cobb, Pat LaBarbera, and tap-dancers Katherine Kramer and Brenda Buffalino. She has been a featured artist on Marian McPartland's widely acclaimed National Public Radio series, Piano Jazz, and appears in the documentary, Women In Jazz by Burrill Crohn. Ms. Tanksley also is noted in the books, American Women In Jazz, by Sally Plaxin, and in Madam Jazz, by Leslie Gourse. In addition to being an acclaimed accompanist and composer, Ms. Tanksley also leads the Francesca Tanksley Trio. Her 2002 debut recording, entitled Journey, features her original compositions and includes colleagues from the Billy Harper Quintet, drummer Newman Taylor Baker, bassist Clarence Seay, as well as guest vocalist Judy Bady. Commissioned works featuring the Francesca Tanksley Trio include a suite entitled, Goddess of the Sea, commissioned by St. Gregory’s Church of Woodstock, New York, as well as original compositions commissioned by tap dancer Katherine Kramer at Skidmore College, NY, and Florida International University. The Francesca Tanksley Trio, has toured both in the U.S. and internationally, at venues including Sweet Basil in NYC, the Pleshakov Piano Museum in Hudson, NY, the Kalisz International Piano Jazz Festival, and jazz club Blue Note in Poznan, Poland. Ms. Tanksley holds a Master's Degree in Music from Queens College, Queens, New York, and is the recipient of the Graduating Master's Award, the Eubie and Marion Blake Foundation Award, and the ASCAP Louis Armstrong Composers’ Scholarship Award. She has taught in various jazz workshops at numerous colleges, including the University of Southern California at Santa Cruz, Hampton University, Rensselaer Polytechnical Institute, Arizona State University, and Bard College. Ms. Tanksley served as faculty at New School University’s Jazz Program in New York City from 1995-2015, and is currently full-time Professor at Berklee College of Music in Boston, as well as Visiting Artist at Bard College at Annandale-on-Hudson, NY. "If you're at all familiar with the saxophonist Billy Harper's powerhouse quintet, you know what this compelling pianist can do." "Tanksley is such a deep, grounded player; she knows exactly what she's up to, doesn't reach for effect. Her playing is fluid and full of moments of discovery." Radio: Charted 11 weeks on Jazz Week and listed in Top Tens of CMJ (College Radio)!